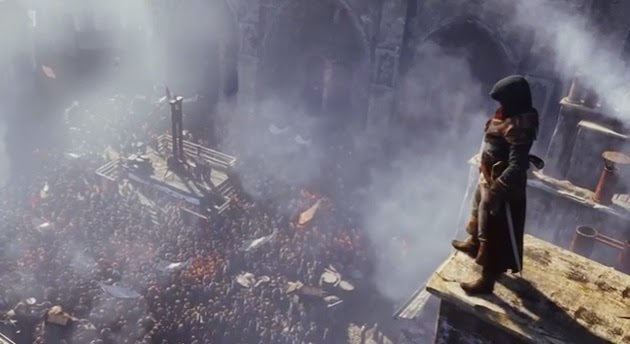 With various rumors silenced regarding where the next Assassin's Creed installment will take place, Assassin's Creed V: Unity will pull players into the French Revolution. The title will only be gracing PS4, Xbox One and PC. But rumor has it, there will be two titles released simultaneously, Unity for next gen and Assassin's Creed: Comet for current generation consoles. Little is known of Comet at all at this point, we'll have to wait for Ubisoft to touch more on it later. In the meantime, check out the teaser sneak peek video for Unity below.